A comprehensive list of 5 Best WordPress Testimonials Plugins 2019(Mostly Free!) according to 217 users. Starting a new website is a lot of work, and in the era where everything is about branding, you’re finding it hard to survive. A business website or a blog offering a bunch of services can be helped by adding a testimonial section, where existing users get to describe their experience. If you’re offering a high-standard or at least good standard service, then they will be happy to share what they just experienced. These testimonials or praising words will help you get new clients. The reason why this thing helps is that those praising words act as a live review of your services. These reviews can literally help to convince the new customer since they just read those words. Also, keep the testimonials short and well-targeted. There is no shame to hire a copywriter doing that thing for you, in case the original testimonials aren’t sounding that good. Whats the Best Testimonial Plugins for WordPress? Luckily, you opted for WordPress to create the website or blog and so, you can easily add a testimonial section using a dedicated plugin. To help you find the best-working one, I’m sharing a compilation of seven best testimonial plugins for WordPress, down here. Yeah, testimonials are really great for social proof and install confidence in prospects. 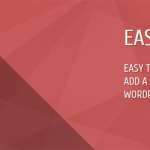 Really this article on the seven best testimonial plugins for wordpress is very much informative . Many users can n’t get adjusted testimonial in websites . Hopefully these plugins on testimonials will be very helpful on this case . Testimonials are a key of selling your product or service. The more successful you are to sell your good product or service , the more glowing testimonials you will get. This is why you need use the best testimonial plugins on your website . In this case this article will be conducive to you to find out best testimonial plugins . I convey thanks to author for sharing such a constructive article here .